'The Georgian Apartment' lis a picture perfect romantic bolthole for new parents hoping to rekindle the spirit of their life before nappies and broken sleep. Set overlooking the rolling Yorkshire countryside above the historic fishing port of Whitby to the beckoning sea beyond, it is a grown-up, decadent wrapper around a soft, baby-friendly centre. Recently refurbished, the one-bedroom apartment housed by a beautifully-restored Grade II Listed Georgian manor house is full of the sort of period chandeliers, deep indulgent baths, sumptuous beds and luxury furniture that reminds guests of the glamorous weekends away they enjoyed pre-baby. That said, junior guests are brilliantly catered for too with a long list of useful gear, much of it new in 2018, including: a travel cot with extra mattress, a highchair, baby bath seat and mat, changing mat, baby gym, a microwave for warming bottles and a handy supply of nappy bags. Plus, the whole apartment (apart from a step on to the patio) is on one level, so there's no need to worry about stairgates if baby has discovered the delights of crawling and shuffling. The romantic bedroom boasts high, shuttered windows, a Victorian-style King-size bed with crisp, cool linen and scatter cushions, chandeliers and antique furniture. There's also room for a cot to be set apart from the bed allowing for plenty of space all round. 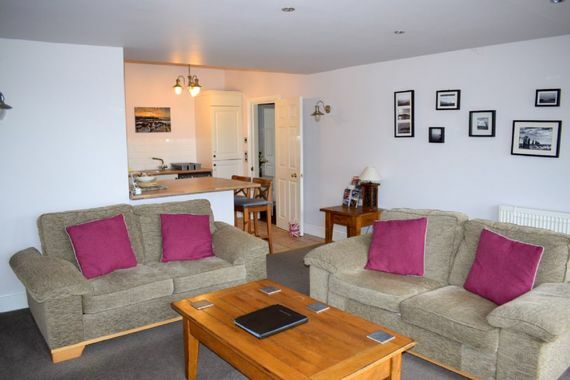 A roomy lounge has two big stylish-but-comfy sofas, a flat screen TV with Freeview and DVD/CD player, stereo system, mood lighting, and a telescope - perfect for taking a closer look at the breath-taking sea views! A slick, modern kitchen comes with a large breakfast bar with integrated oven, 4 ring hob, washing machine and fridge freezer. 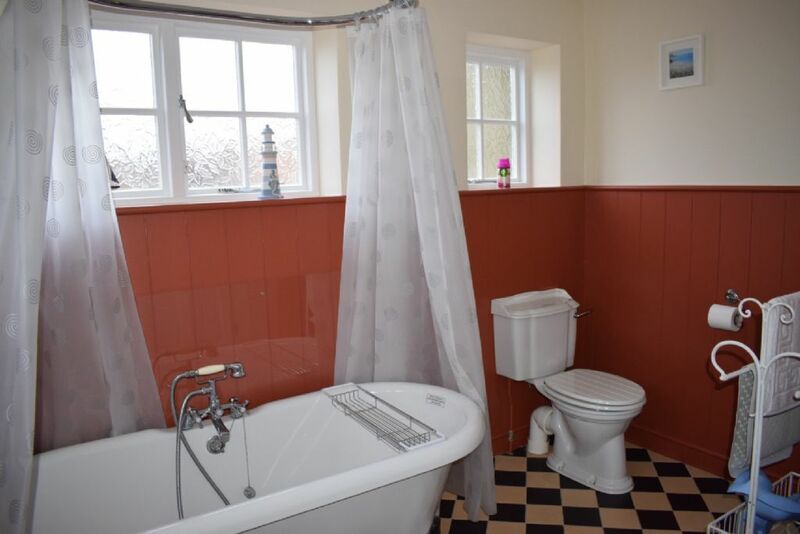 A Victorian style roll top bath with complimentary luxury toiletries in the inviting bathroom is perfect for a well-earned Sunday morning soak while your partner watches over the small person, sipping coffee in the sun on your private patio. Owner Elisa Griffin is the first to admit that 'The Georgian Apartment' is not the place to stay once your baby is fully mobile. The combination of small sticky fingers, antiques and pristine white walls would be too nerve-wracking for most parents to contemplate with a toddler over 18 months in tow. But for a couple with a babe in arms, 2 Sneaton Hall is a little bit of adult heaven that junior can share too. This part of the Yorkshire coastline, with its lovely beaches, stunning countryside, and pretty towns and villages, is prime baby-strolling territory. Tuck junior into a buggy and set off for a short, head-clearing walk into the village of Sneaton where great coffee and cake combos await, plus you can pick up basics like locally-produced eggs, bread and milk in a popular farm shop. Lunch is only a walk away too, with a good menu and children's play area at the Wilson's Arms pub, 100 yards from the front door. More possibilities for baby crawling and exploring can be found five minutes drive away at what owner describes as 'the best children's play centre I've ever seen', complete with Hipps organic baby food on offer. 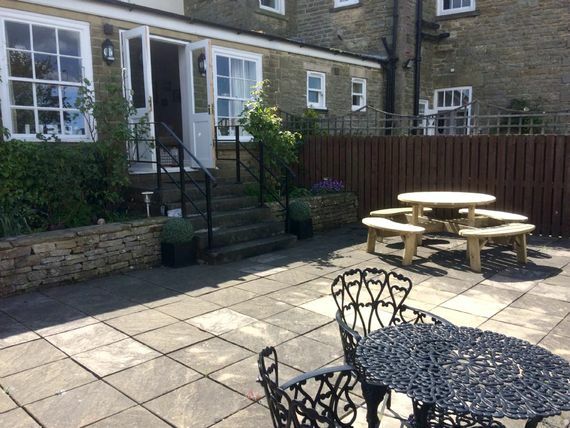 Just 10 minutes away by car, Whitby, with its shops, restaurants and atmospheric seafront makes a nice day out, along with the renowned, sweeping beaches of Robin Hood's Bay, Sandsend and Staithes. Inland is the North York Moors National Park, which is chock-full of beautiful scenery, lovely waterfalls and romantic steam trains. Alternatively, try tucking baby into a sling and taking a hike through some of the less challenging parts of the Lower Esk Valley, famous for their natural beauty. Ian and Elisa Griffin took over the property as new owners in early 2017 when looking for a perfect holiday accommodation close to the sea. They saw Sneaton Hall and fell in love instantly. The fact it was already a well-run, established, award winning holiday let was even more perfect. Ian and Elisa knew instantly that this was the perfect place to relax and unwind, with its stunning views, large spacious rooms, and stress free travelling with a young baby. Apartment Two Sneaton Hall near Whitby is perfectly suited to accommodating little ones* whilst still offering couples the luxury they deserve. If you're looking for a tastefully decorated, spacious home away from home with everything you'll need within a 3 mile radius (including a great soft play centre just down the road and shops for bucket and spades!) then 2 Sneaton Hall is the ideal place for your next or first break away with your little one. *Please note the property is only suitable for one baby up to the age of 18 months. A little bit of adult chic where baby is welcome to enjoy it too! The pretty seaside town of Whitby and all it has to offer, the rolling moorland on your doorstep with the North York Moors National Park and lots of events happening throughout the year. 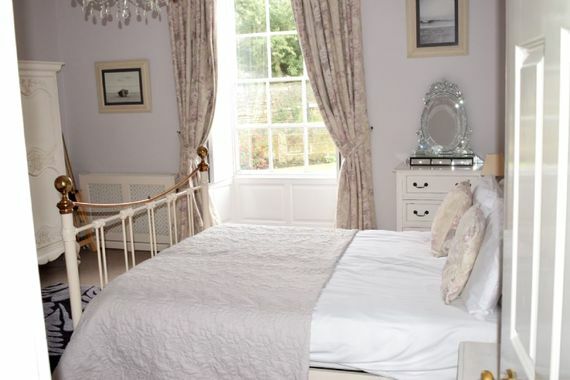 Two Sneaton Hall is an ideal luxurious retreat for couples with a cot-sleeping baby. Babies will love the massive soft play centre within a mile and the coastline within a short drive. Durham Tees Valley airport is just over an hours drive away. Leeds airport is just under two hours away. Manchester airport is just under 3 hours drive away. There are a selection of beaches at Whitby, Robin Hoods Bay, Sandsend, Staithes etc. just a 10 minute drive away from the apartment. Nearest town for shopping and eating is Whitby, however, there is a local café and pub within walking distance serving great food. There is a large indoor play centre, which serves food (incl. baby food) 1 mile away from the apartment. 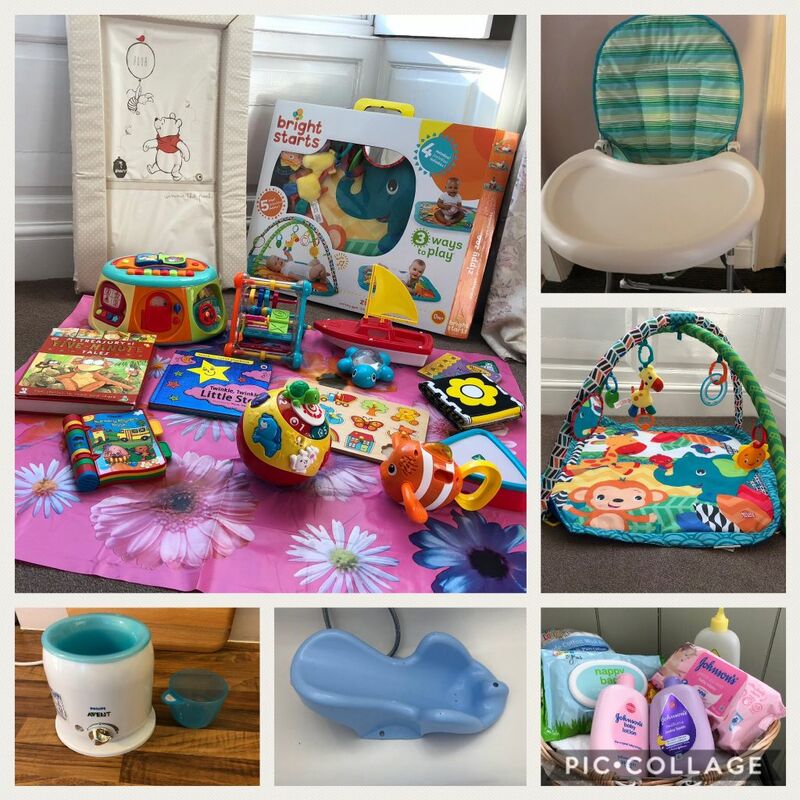 This baby friendly apartment offers 1 x travel cot with extra mattress, 1 x highchair, 1 x baby bath seat and non slip bath mat for use in bath, 1 x baby gym, 1 x changing mat, nappy bags and antibacterial spray provided, Microwave available. Much of the baby kit is new for 2018. This baby and child friendly Whitby apartment has a small selection of baby toys and books. Stairgates are unnecessary as the property is set on one level. The apartment has use of a private, enclosed garden. A fantastic apartment for ourselves and our 10 month old daughter. 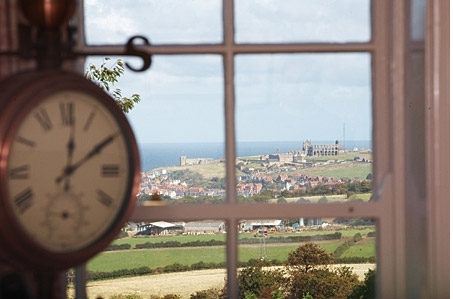 Everything we needed for a comfortable stay and fantastic views of the valley and Whitby Abbey. 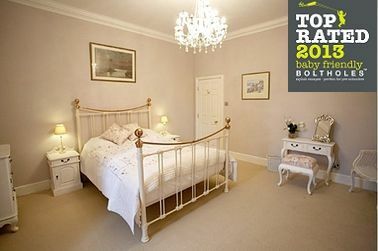 A really lovingly run and furnished place - lots of little touches make all the difference. Great location too. We had a lovely few days away in Whitby. As a first time mum to our 12 week old little one, I was nervous about going away for a few days, thinking about all the things that we would need to take. Finding this website and this property was a relief and made the trip much easier than going anywhere else. 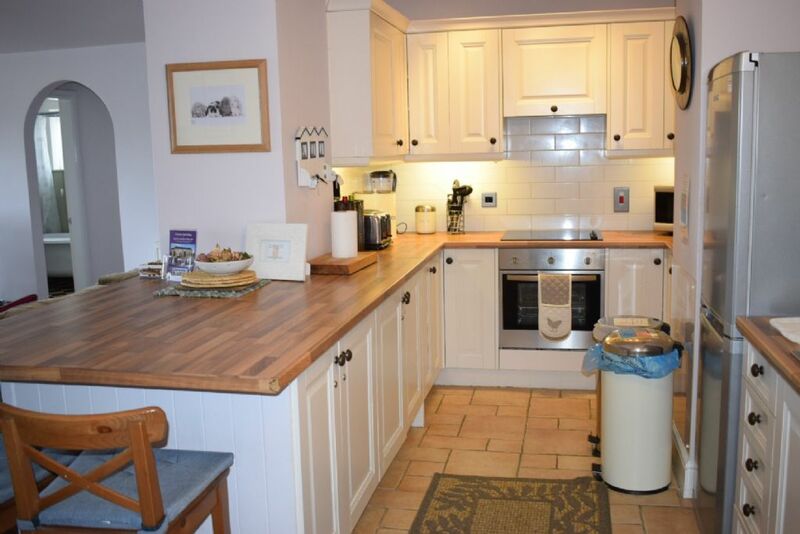 The property was lovely, clean and well maintained and was literally a home from home. The view was beautiful and the things available for baby were all great. 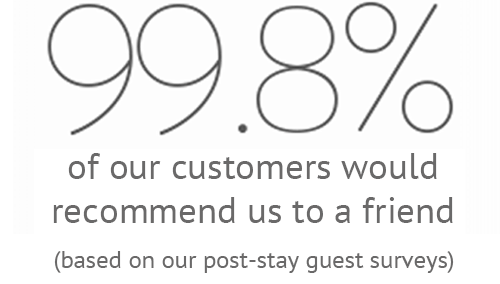 I would definitely book again. Excellent accommodation, great location. 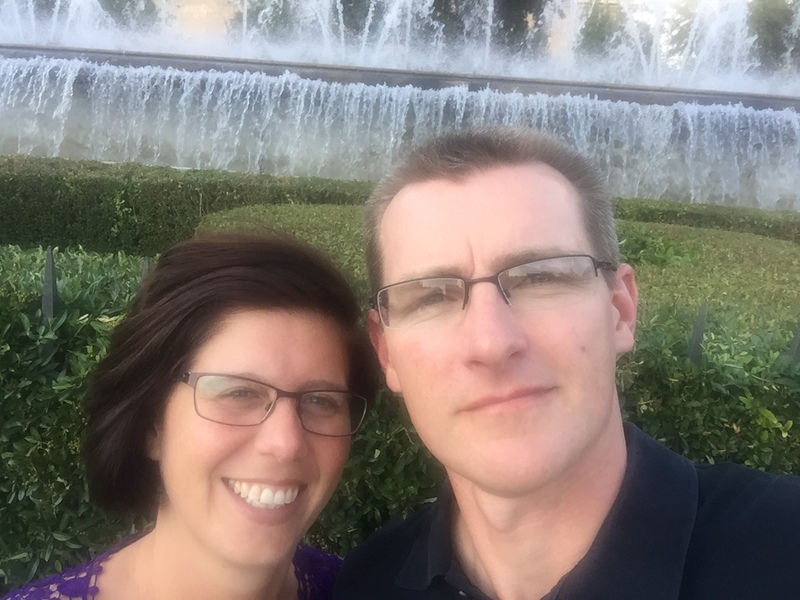 We stayed a week with our 9-month baby and had a great time. Highly recommended. Property itself was fabulous and Helen, the owner, couldn't have been more helpful in the organisation prior to our stay. Location was perfect if you use it as a base and are happy to drive places. Not really suitable for walking with little ones. 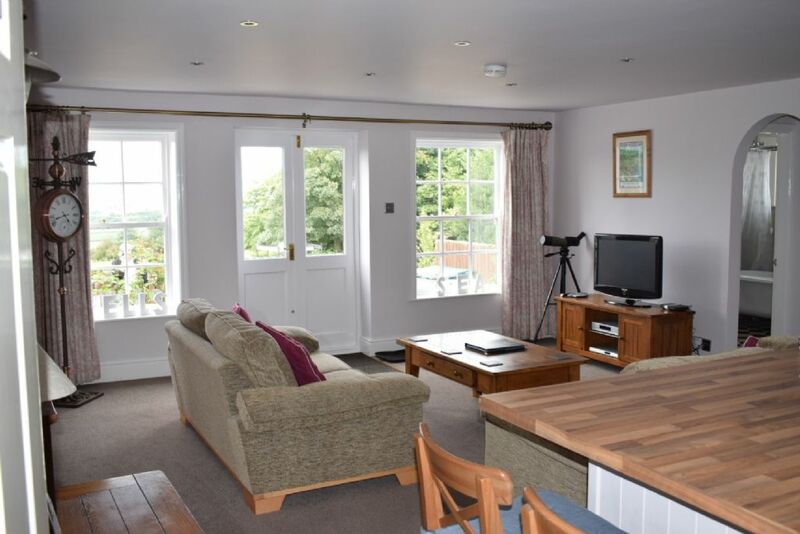 Lovely place to stay, fantastic views from the living room, will definitely be back! Great place to stay with a young baby. Beautiful accommodation, very spacious, a feeling of luxury for adults combined with everything you need for a baby. Lovely view of the sea and Whitby abbey. Really lovely setting, beautifully decorated. The items provided for babies is really useful and made the holiday much easier. Great location, beautiful views, close to Whitby and a lovely apartment. Everything we were looking for on our first holiday with our 5 month old and no compromise on the type of holiday we would usually have pre-baby. Beautiful apartment, very well furnished and comfortable. The only thing that was slightly irritating was the shower hose over the bath which when trying to wash long hair is a pain! But we read in their welcome book that there are plans to add a shower fitting over the bath soon which will be brilliant! Beautiful view, very peaceful area and highly recommend the local pub 'Wilson Arms' which has recently come under new management (young couple with a baby) and couldn't have been more welcoming! Our baby sat and played with their baby whilst we had the best Sunday roast I've ever had in a pub! Brilliant accommodation, the baby loved the garden and the views! Everything that you need (apart from sterilizer) for your baby so you have more room in the car for wine! Everything you could wish for if you have a small baby! The only thing you would need are your own nappies (although even some of those are provided!) and towels. Everything here from toys, playmat, changing mat to baby toiletries! You can definitely pack light for your little one. A beautiful location with great amenities for babies and toddlers alike. Wish we could have stayed longer. This apartment was lovely, our 9 month old has just learnt to crawl so it was perfect as it's all on one level. The box of toys came in very useful and it was a wonderful first holiday with our little boy. Great location and sea views. Great location. Fabulous views. Well-equipped. Very stylish and spacious property. We stayed (2 adults and a 1 year old) for 5 nights and were very comfortable; the bedroom is very big, so sharing with the baby wasn't an issue. A good selection of toys for the baby and the kitchen was suitable to our needs. There's a lovely outside communal garden with stunning views. Very high standard of accommadation with excellent facilities for both baby and parents. Loved the toys available, the comfy sofas, the very useful welcome book and suggestions/recommendations for places to eat and things to do. Oh and not to forget the stunning views of the countryside with a backdrop of Whitby Abbey and the sea! The view of Whitby Abbey in the distance was lovely and it was great to have the extra baby stuff there already. A wonderful location and property. We had an amazing time on our first family holiday with our 7 month old baby boy. HIGHLY RECOMMENDED! 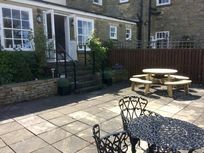 We found this an ideal property for a first break away as a family, having everything on hand for the baby made it a lot easier. The garden was a added luxury in the warm weather! A great base for exploring Whitby and the surrounding areas. The apartment was luxurious enough to be a real treat for us, but also baby-friendly so it made for a relaxing first trip away as a family with our 6 month old son. A perfect first family holiday. Couldn't fault it. Brilliantly equipped for our 16 week old and brilliantly equipped for us. Breathtaking location too. Can't wait to go again! Overall we did enjoy our stay at Sneaton Hall. The views from the rear of the property, overlooking the coast and nearby Whitby are very special. Likewise the communal gardens were lovely and much enjoyed by our 18 month old toddler. The property itself is extremely well-equipped with all the necessary baby-essentials. The small selection of toys was a huge hit with our toddler. Couple of things perhaps worth noting. The property is without a dishwasher (we clearly take ours for granted so it was a bit of a shock); if visiting in colder months, the heating is not automatic so it can take some experimentation to find the right balance and the hot water can be lacking (top tip: always be the first to have a shower!). We had a great stay at Sneaton Hall, the accommodation was perfect for us and our 4 month old. We did not need to take anything as the cot, changing mat etc was all there ready. Would happily stay there again. Beautiful property. Great location. Friendly neighbours. Felt like home! A lovely self contained apartment just on the edge of the North Yorkshire Moors offering incredible views of Whitby and the coast in the distance. Lots of space for the little one to crawl or run around, both in and out, though a few stairs leading to the patio that you need to watch them on! Car essential as there is little in the way of shops or eateries in walking distance. A lovely place to stay, especially if you like the out of doors. Fantastic property with lots of special little touches. Fabulous view of Whitby Abbey (with fields and the beautifully kept communal gardens in the foreground) - a lovely sight to gaze across on an evening with a glass of wine. If the weather had been better we would have enjoyed it sitting in the attractive private courtyard. In a very quiet and quaint village. Will definitely recommend to others and hope to return. A perfect first family holiday with our 11 month old! A very nicely appointed apartment with all the necessities for holidaying with a baby. 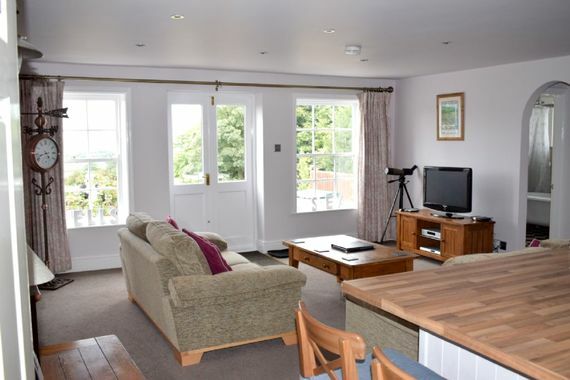 We found it ideally located as a base to explore the North Yorkshire Coastal Towns. The view of Whitby from the apartment is idyllic. Really lovely stay at Sneaton Hall, property was beautifully decorated and baby friendly. Great property, and a real asset. Did everything it said it would and more. Location is great for those who enjoy both rural (Sneaton) and town (Whitby), and the local pub was a bonus.